It covers much more than the N-1, and was extremely helpful for my UR-700 project. But it also introduced me to another rocket I had not heard of before, a nuclear rocket based on the R7 / Soyuz. Many do not realise that the limitations of the R7 / Soyuz were understood very early, and plans for more powerful boosters, (including the N-1), got underway at the start of the space age, well before Gagarin’s flight. The design work started in June 1958, and a draft design was ready by the end of 1959, approved by Korolev. I have only 2 images of it, (including one from this book), but given it’s R7 derived, I figure I can make a credible version. Apologies if the information is somewhat sketchy, my Russian is limited, and google translate struggles with this language too. It’s immediately clear that this is basically an R7/Soyuz with six boosters instead of four. The lower section of each booster has been stretched, and there are 6 exhaust bells instead of 4. The central core stage is nuclear, and it would have started up once the rocket was out of the amosphere, and before the boosters used up all their fuel. I’m still struggling to understand the naming – it is sometimes referred to as YARD (ЯРД), sometimes ЖРД, Both terms are sometimes used for a generic nuclear rocket from what I can see. Also ЯХР-2 (YAKR-2). Very confusing! OKB-456 (VP Glushko) GKOT and OKB-670 (MM Bondaryuk) of the GKAT were connected to develop the YAR. NRD was a rocket engine with a nuclear reactor in a cylindrical body with a heating of the working fluid up to 3000 K, equipped with four nozzles. OKB-456 suggested using ammonia as a working fluid in the Yard, and OKB-670 was a mixture of ammonia and alcohol. The specific thrust pulse of the NRD under the above conditions should have been no less than 430 kgf · s / kg. 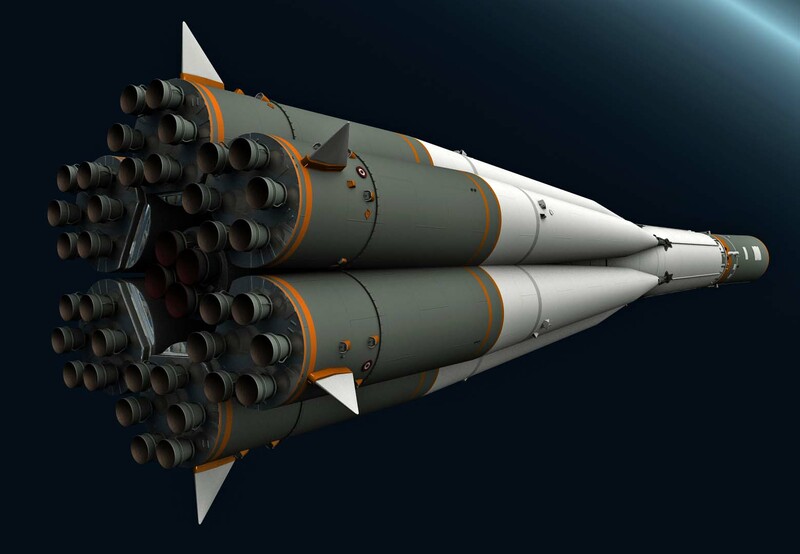 According to the first variant, the YakhR-2 missile was proposed to be 48 metres long, similar to the R-7 missile, but with six lateral I-stage missile units equipped with 36 ND engines. Kuznetsov, and II stage (center) with the YAR, developing a vacuum thrust of 140-170 tons, which began to work in space before the separation of the side rocket blocks. The launch mass of the missile was to be 850-880 tons, the weight of the payload being put into the orbit of the satellite is 35-40 tons. As you can see, at this stage it’s pretty much a case of bodging together different elements from my Soyuz rocket. I want to get the shape and dimensions right before I start worrying too much about the details. 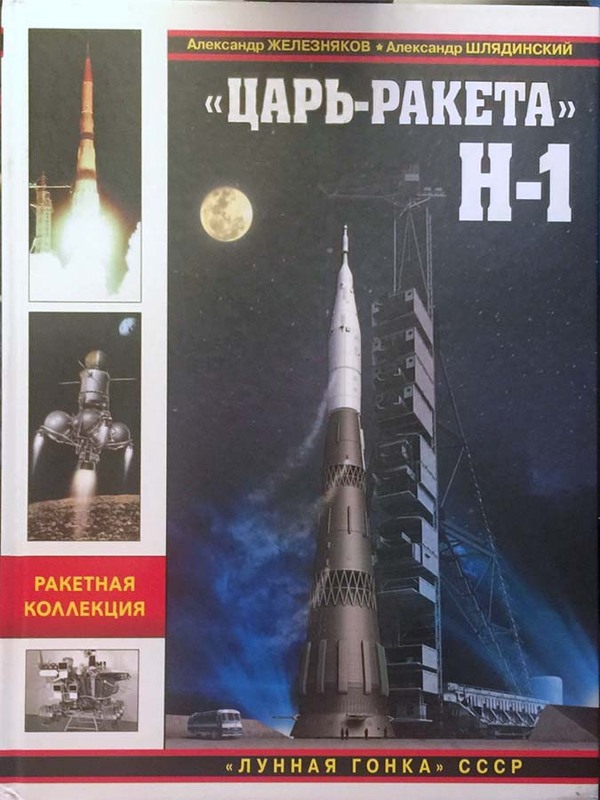 Difficult choices though – the illustrations clearly do not have the details on the boosters, (particularly the small fins). Yet without the Soyuz vernier rockets I’m not clear on how it would steer. I suspect that the reference images were never intended to be that detailled, so I’ll probably leave most of the small stuff on there. This always helps to give a credible look!